Whether you're a networking administrator or an everyday computer user looking to set up a network in your home or office, Networking For Dummies seamlessly gets you connected with the basics and gives you the knowledge to work out whatever kinks may come your way -- in no time. Inside you'll find step-by-step instructions on setting up and maintaining a network, and ensuring you're following best practices with storage and back-up procedures. Set up a network for all major operating systems. Secure, optimize, and troubleshoot your network. Create an intranet and use the Cloud safely. Make sense of the latest updates to Windows 10. Don't let a thorny networking issue get the best of you. Heed the simple guidance in this friendly resource and effectively network your way to more effective shared data and resources. 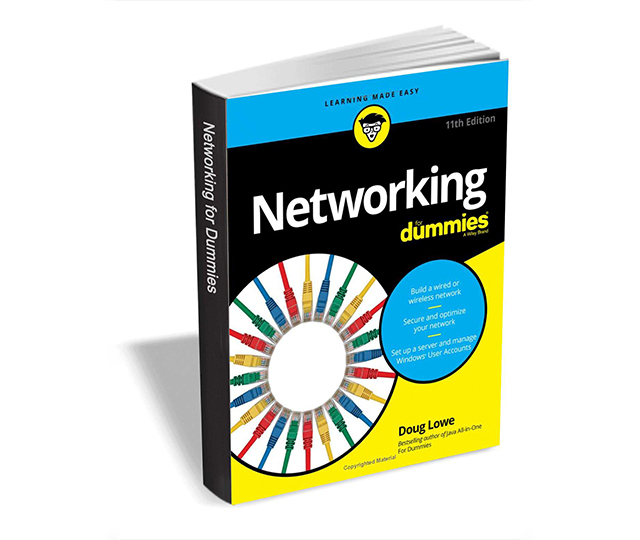 Networking For Dummies, 11th Edition usually retails for $15.99, but BetaNews readers can get it entirely free for a limited time.